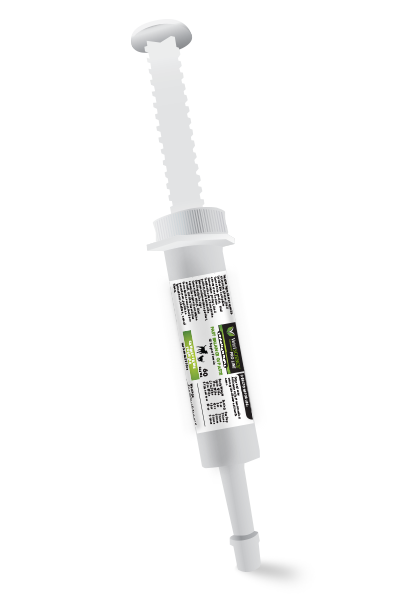 This fast acting, easy-to-administer paste provides immediate GI support for dogs and cats. It contains specialized yeast extract, probiotics, fungal derived enzymes from Aspergillus oryzae, and B vitamins?all of which work together as a fast acting product to balance and normalize the GI tract. Vetri Science® Laboratories Fast Balance G.I. Paste contains a specialized yeast extract, rich in mannan oligosaccharide (MOS), derived from the cell wall of yeast. It also includes probiotics in several strains, fungal-derived enzymes, and B vitamins, which work together to help normalize the G.I. tract. Fast Balance is recommended for garbage gut, nervous gut, and food sensitivities, as well as stress, quick normalization of digestion, and older pets in need of digestive support. Fast Balance G.I. 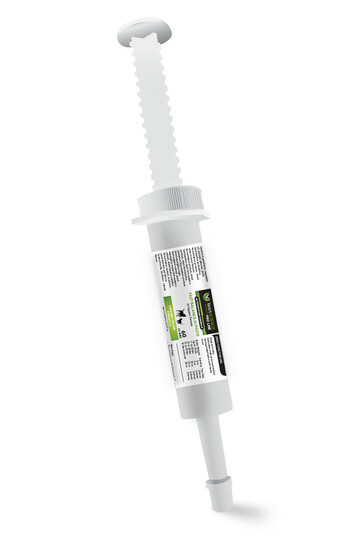 Paste is available in a convenient dial-a-serving tube. Administer orally at recommended amount listed below until results occur. Inactive Ingredients: anise oil, fenugreek seed extract, glucose, sucrose, vegetable oil, yeast fermentation solubles.